Already a global leader in cardiac safety and ePRO solutions for clinical trials, leadership (of then eResearch Technology) engaged Trajectory to help the company set the stage to capture new growth among its pharma, biotech, CRO and medical device clients. 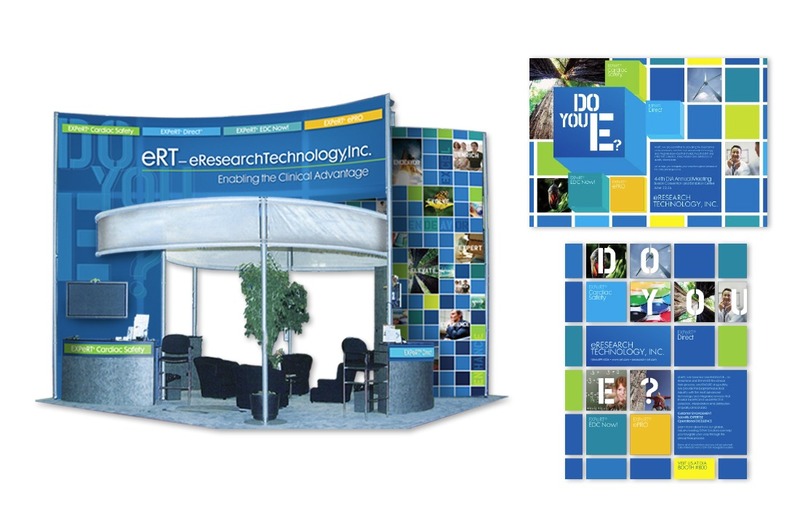 Rebrand and relaunch the new ERT, such that it provides clarity to, and aligns, internal audiences; assists the organization to more effectively compete in the future; and helps it achieve its longer-term strategic and financial growth goals. 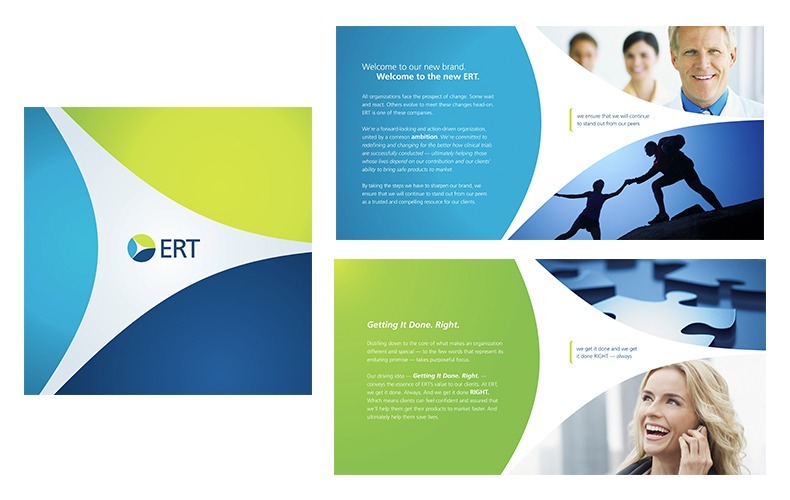 An easy to reference guide for employees that captures the key ideas behind the new ERT brand. Everything that employees and partners need to know about implementing new ERT brand creative assets. Following rebranding, an attention-grabbing campaign and tradeshow presence at industry leading DIA show that calls out for prospective client participation. A new website (and accompanying intranet) designed and built to be more sales-oriented, deliver an outstanding user experience and reflect new brand promises and look and feel. YOY prospective client inquiries +38%, traffic to new website +30%, sales increases post rebranding +50%.